antonio de bonis: The Other Greek Tragedy: Georgian and Russian/Eurasian organized crime. The Other Greek Tragedy: Georgian and Russian/Eurasian organized crime. With news of the arrest in Thessaloniki of Georgian vor v zakone David Mazanashvili (“Dato Rustavsky”), a member of the same Kutaisi “clan” targeted in this summer’s Europe-wide raidsunder Operation Skhodka, it is worth briefly remembering that Greece, while not on quite the same scale as–until recently–the Spanish coastline or Germany, is very much an area of interest to gangsters from Russia and post-Soviet Eurasia. Although Russian gangsters were attracted there in the 1990s by the climate, not-too-intimidating law enforcement and, let’s be honest, relative ease of acquiring forged documents and local passports–most notoriously the contract killed Alexander Solonik, who was murdered there himself in 1997– increasingly the country has come within the orbit of ethnic Georgian gangsters. To some extent this reflects the 1990s influx of ethnic Greeks (Pontian Greeks), especially from Georgia , who became bridges between the two underworlds. Georgian criminals had been increasing their stake in Greece since around 2000, often working cooperatively with local gangs. The arrival in 2008 of Lasha Shushanashvili (“Lasha Rustavsky”), the Georgian kingpin also named on the US Treasury’s list of “Brothers’Circle” members, only demonstrated the extent to which it had come to be seen as a congenial base of operations in every way. This may well have proven to be a mistake as not only did some of the gangs there suffer from Greece’s financial woes, but Shushanashvili was arrested in Athens in 2012 under the Armenian alias Miroslav Artemyan. He was convicted earlier this year on organized crime charges and sentenced to 14 years in prison. Even from pre-trial detention, though, Shushanashvili appears to have been maneuvering to try and become a dominant force within the emigre Georgian underworld–which would have put him on collision course with Tariel Oniani (“Taro”) who is likewise in prison but hardly especially inconvenienced by his circumstances–and also to dominate or at least cherry-pick elements of the Aslan Usoyan (“Ded Hasan”) network, following the latter’s murder. He had, after all, been a close affiliate of Usoyan’s and saw no reason why he–as one of the relatively few remaining “big name” vory v zakoneought not to supplant Usoyan’s blood kin atop the network.Shushanashvili, after all, is certainly not without ambition and self-confidence. According to the Greek interior ministry, he and other voryhad been seeking to influence Georgian politics, especially through penetrating the Georgian Dream party that successfully unseated Mikheil Saakashvili (the man who, for all his numerous flaws and lunacies, did manage to drive the voryout of Georgia). Greece also became a place in which not only could dirty Russian/Eurasian money be laundered and spent (not least through Cyprus), but wider feuds could be prosecuted. The 2010 murder in Athens of Abkhazian Malkhaz Kitia (“Makhonia”) was part of the long-running war between Usoyan and Oniani, as he was the latter’s local representative. Athens became the base for both Oniani’s allies and Shushanashvili, while Thessaloniki instead became an Usoyan fiefdom. On 11 December 2010, some 50-60 voryand other criminal kingpins met in Greece–their largest gathering outside Russia for years–precisely to try and resolve the Usoyan-Oniani feud. It seems obviously to say that ultimately, the accord they hammered out failed. While Shushanashvili’s conviction is to be welcomed, in many ways the question is why it took so long for the Greeks to arrest him given the evidence of his criminal operations in Spain and elsewhere. It remains unclear how serious and how able the Greek authorities are to combat Georgian and Russian/Eurasian OC at home, especially given that some of them at least appear to have taken advantage of the country’s financial crisis to invest, buy and generally acquire a deeper stake in the country. 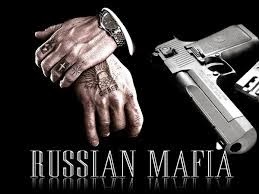 While the Georgians are undoubtedly involved in the more overt crime–protection racketeering, drug and people trafficking, etc–this should also not blind us to the extent that ethnic Russian gangs are still strongly involved in Greece, albeit more on a white collar level, laundering and moving their money, buying investment properties and the like. As with so many aspects of Greece’s troubled relationship with its European partners, that does mean that Greek tragedies are at the very least troubles for its EU partners. Dr Mark Galeotti is Clinical Professor of Global Affairs. Mark Galeotti is a specialist in transnational organized crime, security affairs and modern Russia. He started his academic career concentrating on conventional security issues, including the impact of the Soviet invasion of Afghanistan and the implications of the disintegration of the USSR. However, in his fieldwork he encountered the rising new generation of gangsters carving out their portions of the decaying Soviet Union and was one of the first Western academics to recognize this as an emerging security concern. Since then, he has become increasingly interested in the transnationalisation of not just Russian but all forms of organized crime and their impact on the international order and development as a shadowy opposite to the global citizenship at the heart of the CGA's mission.